Omaha N-Trak will be desplaying our modular train layout at several events this year, but it looks like this will be the last free event. Shadow Lake Towne Center is on the corner of 72nd Street and Hiway 370. 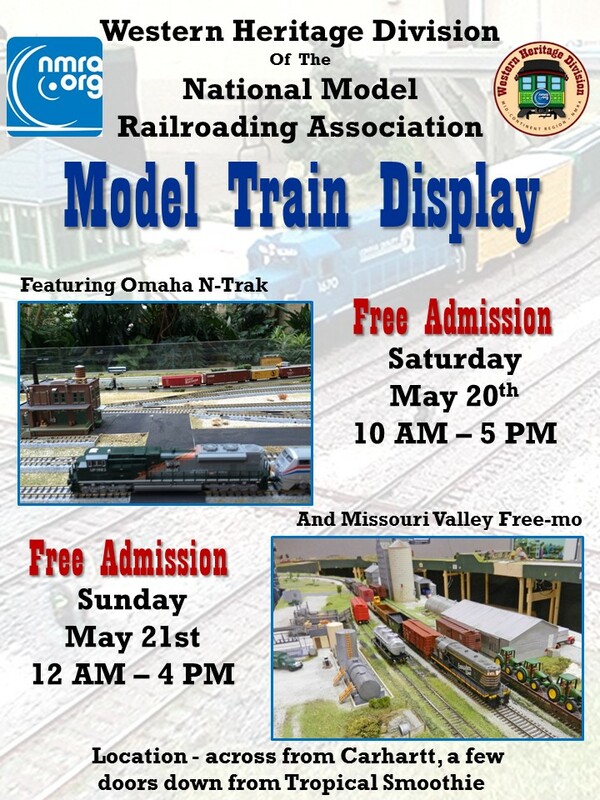 We have a lot of roads on the Omaha N-Trak modules. Stan has been experimenting with road markings from Highways and Byways. These are very thin and have pre-applied adhesive. Freshly applied, they look like the paint truck just rolled by. Stan applied a few of the stripes and has sprayed on a clear sealer. Eventually, he'll add a bit of weathering. Only about 50 feet of "main" roads left to mark. It might take a while. Check our Events page for a current calendar of events and contact information. Membership's are currently open. If you are interested, please send us an email at omahantrak@gmail.com. you can contact us through the Omaha N-trak Facebook Page where you can also see more photos and video. This page is a bit brief because we are in a state of transition. More information will be available here (and on Facebook) shortly.